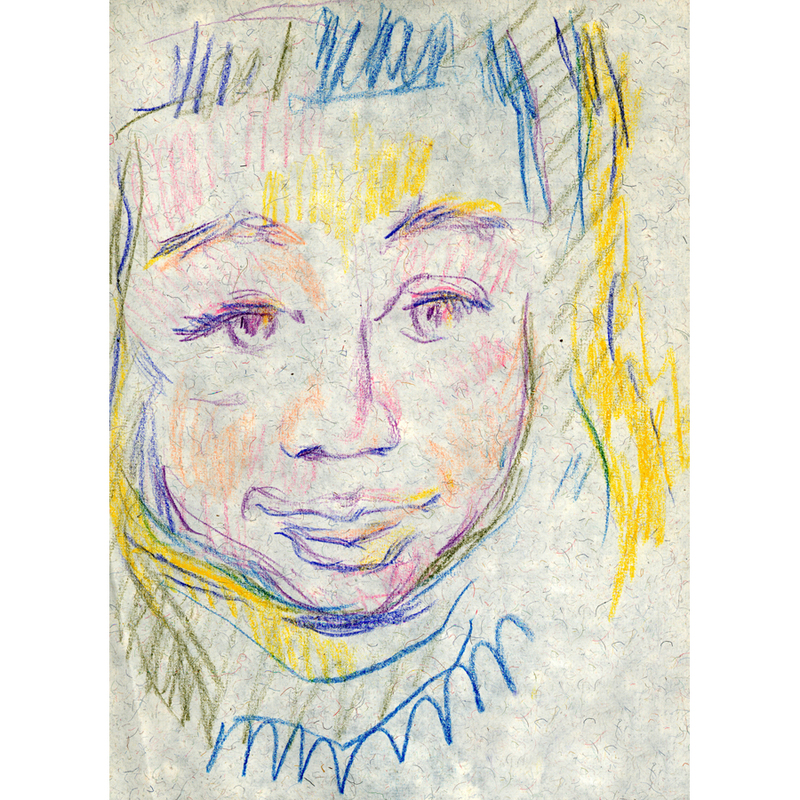 Video of Michel Montecrossa‘s Christmas Song 2016 ‘My Christmas Of Love & Freedom’ – the song is part of the new Christmas album of the same title ’My Christmas Of Love & Freedom’ presenting 12 new Michel Montecrossa songs for Christmas singing about contemplating the birth of Christ as the inspiration for a better future where all people can live in freedom a life protected by love. Michel Montecrossa sees the Unity of Love and Freedom as the core experience behind this contemplation which he masterfully expresses in the opening song ’My Christmas Of Love & Freedom’ and further expands through all songs of the album. to you I will bring. is warm and is sweet. in my heart of Truth and Beauty. makes them grow, makes them strong. living in the child and sage alike. born as Love & Freedom kind. “It is the Unity of Love and Freedom that is the core experience of the Living Celebration of Humanity and it is this core experience that we remember at Christmas, as the birth of Christ. a life governed by love. 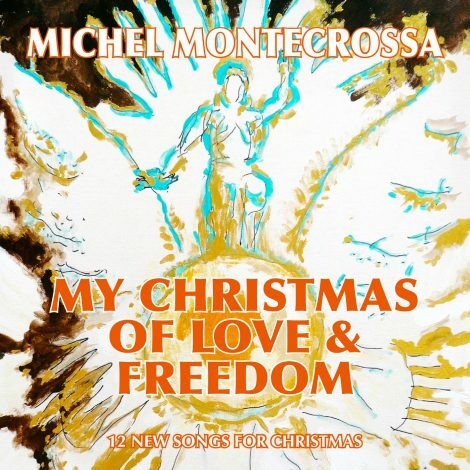 With his Christmas Album ‘My Christmas Of Love & Freedom’, released by Mira Sound Germany Michel Montecrossa presents 12 new songs for Christmas singing about contemplating the birth of Christ as the inspiration for a better future where all people can live in freedom a life protected by love. 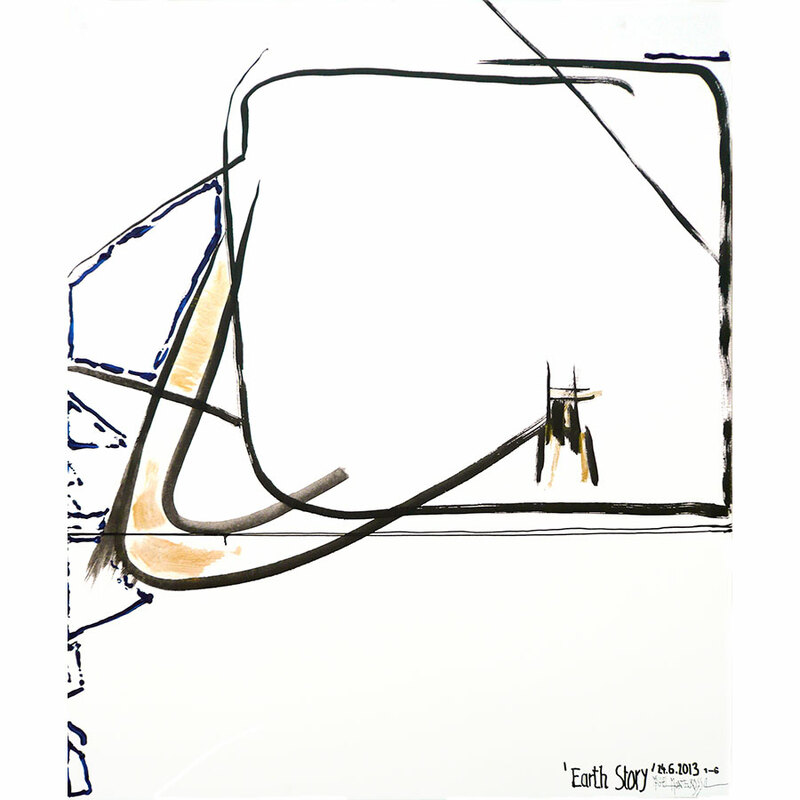 Michel Montecrossa sees the Unity of Love and Freedom as the core experience behind this contemplation which he masterfully expresses in the opening song ‘My Christmas Of Love & Freedom’ and further expands through all songs of the album. Through him we see in the newborn life of the Divine all the hope for a better future where all people can live in freedom a life governed by love. 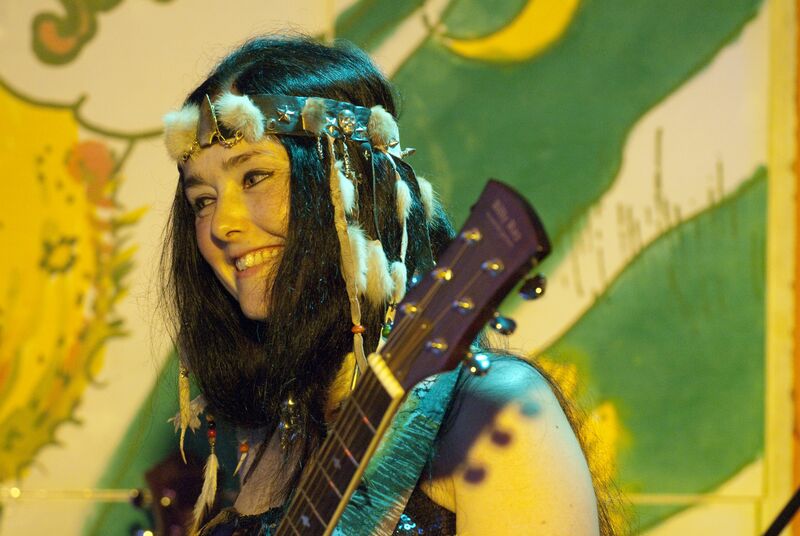 ‘Im Namen Des Lebens’ Weihnachts und Friedens Konzert, eine Stunde live mit Michel Montecrossa und seiner Gitarre, gemeinsam mit Mirakali am 3. Dezember 2016 im Filmaur Multimedia Haus in Gauting bei München, Germany. Michel Montecrossa präsentiert New-Topical-Songs für Frieden und Weihnachtsbesinnung von 21:00 bis 22:00 Uhr. Anlässlich des Konzerts wird auch die neue ‘My Christmas Of Love & Freedom’ Weihnachts-CD mit 12 neuen Weihnachtsliedern von Michel Montecrossa vorgestellt. Vor dem Konzert kann man die DEEP BRAIN ART Ausstellung mit 212 neuen Michel Montecrossa Gemälden und Zeichnungen sehen. 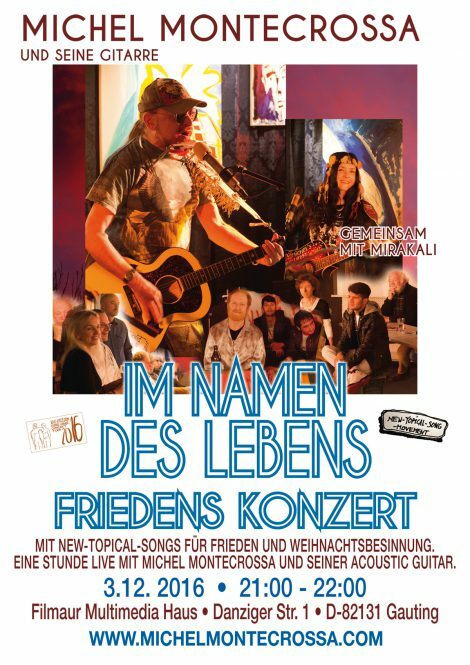 ‘In The Name Of Life – Im Namen Des Lebens’ is the title of the acoustic Christmas and Peace Concert which Michel Montecrossa and his guitar together with Mirakali presents on 3rd December 2016 in the Filmaur Multimedia House in Gauting near Munich, Germany. Michel Montecrossa sings New-Topical-Songs for Peace and Christmas Reflections from 21:00 till 22:00. 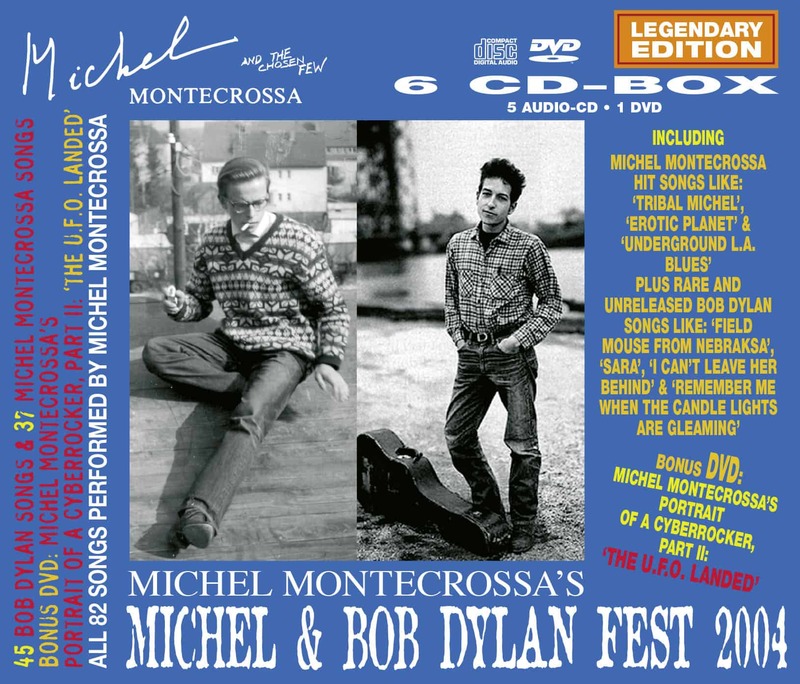 On the occasion of the concert also the new ‘My Christmas Of Love & Freedom’ Audio-CD of Michel Montecrossa with 12 New Christmas Songs will be released.